Josef Bastian is author of the series Excerpts from an Unknown Guidebook. The first book, Phases of the Moon, was released in August. The Excerpts from an Unknown Guidebook Series introduces the audience to the Folkteller Universe. That’s a place where stories are the source of all power. But as this storytelling realm unfolds, the audience learns that stories that won’t be read must be told in order for people to learn, grow and fulfill their own destinies. Each book in the series represents a different set of documents found in a unique location with its own strange letter. What no one knows yet, is that if these pages could ever be reassembled, they’d represent the complete, Master Guidebook (the most powerful object in the Folkteller Universe). So now, it’s up to four teens, a Folkteller, a Traveler and two Guardians, to unravel the mysteries, close portals that should never have been opened, and solve the puzzles and keep the hidden book out of the hands of the Shadow People. 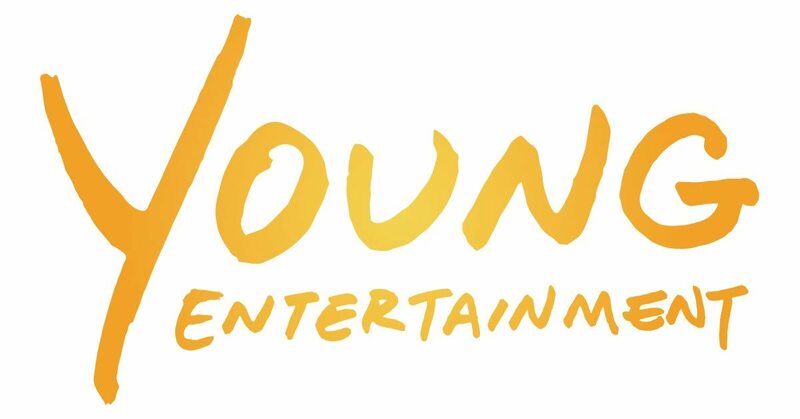 Young Entertainment Mag: First, how did you first get involved in writing? Josef Bastian: So I started writing in school in junior high school. I used to just write poetry as a way to deal with emotions every young person goes through. Eventually, I started to share my work with others and they liked it. This helped me build confidence as a writer. Soon, I had the confidence to submit my work and get published. This continued into high school and college. There, I was able to grow from poems, to short stories to eventual novel writing. It was a slow, but necessary process for me. 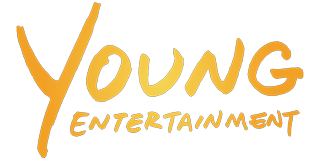 YEM: So where did you get the idea to write your newest teen series, Excerpts from an Unknown Guidebook? Well, the legend of the Nain Rouge was that this red dwarf only appeared as a harbinger of doom just before bad events. So I thought that this would be a great time to resurrect this legend and bring it to modern times. This first series was so successful, that I decided to create a new series where the characters traveled the world, uncovering local legends from many different countries. So, for over a decade, I’ve been on my own journey. I’ve been striving to build a different literary universe that taps into regional folklore and legend. And create a new mythology driven by the power of storytelling. I coined the word Cryptofolk to describe this new universe. Regional folk tales are often lost and obscured through time or remain localized within their specific community. These stories contain themes and archetypes that resonate across cultures and borders. They provide an opportunity for others to learn and grow through the discovery of these powerful legends. Cryptofolk (Crypto, from the Greek kryptós, meaning hidden and Folk, archaic for people or tribe) resurrects old and obscure folklore and legends from around the world. It uses descriptive narrative and various multimedia applications to present stories that are thought provoking, visually rich, and accessible to a global audience. My mission is to demonstrate the power of storytelling through Cryptofolk – Telling Stories within the Stories of Myth and Legend. YEM: So did your knowledge of mythology help you write this book? Did you do any research when writing? Josef: Yes, I have always been interested in history and mythology. I had to do A LOT of research for this series. Because the characters travel to many different places around the globe. It was fascinating and a lot of fun! YEM: Do you have a favorite folklore story? Josef: Yup, the Nain Rouge because it was my first series and the legend comes right out of my hometown! YEM: Tell us about the first book, Phases of the Moon. Josef: Well first, let’s discuss the series. In every age, across time and space, there have been Folktellers. These are the select few who have been chosen to collect and share the stories that need to be told. These storytellers are accompanied by Travelers (who can travel easily through time, space and dimension) and Guardians (Protectors of the Folkteller Universe). With their special Guidebooks in hand, Folktellers spin stories filled with magic and wonder. But all is not well in the Guidebook Realm. For there is a dark force in the universe that is driven to steal the stories, gather the Guidebooks and stop the Folktellers from carrying out their critical duties. The Guidebook Series begins when strange bundles of papers have turned up in mysterious, random places around the globe. These documents all have cryptic notes attached to them from some unknown author who is being pursued by shadowy, evil forces. If these pages could ever be reassembled, they’d represent the complete, Master Guidebook (the Book of all Books) from which all stories originate. The Master Guidebook is the most powerful object in the Folkteller Universe and has been missing for over a thousand years. In Phases of the Moon, Aaron is an average young teenager, who has a penchant for a good story. His grandfather mysteriously disappears. So Aaron and his friends, Wendy and Jake, are drawn into a fantastic, unseen world of stories, in an effort to save his grandfather, Pap. In the process of being pursued by evil Shadow People, Aaron learns that Pap is a Folkteller, one of the chosen few who spend their lives traveling across time and space to share the stories people need to hear. Now, apprenticed to his grandfather, Aaron begins to learn the ways of the Folkteller, their powers, their mysteries and their grave responsibilities. Aaron confronts the Shadow People for the first time. And learns of dark desires to undo the Folktellers at every turn. The Shadows target is one of the most powerful books in the world – Pap’s very own Guidebook. But the Shadow People will resort to anything to have it – even murder. YEM: Have you started working on the next book in the series? Josef: The series is complete! All 8 books and done and being staged for release over the coming years. YEM: Finally, if you could be any character from mythology, who would it be and why? Josef: Hmmm… great question… I would probably want to be one of the gods or demi-gods from varying myths around the world. Like the ones who help humans reach their full potential. Someone like Maui (from Hawaiian mythology) or Prometheus from Greek mythology. He’s the one who created man from clay and stole fire from the gods to help humankind. I tend to like the rebels of mythology that buck the system for the good of others. Isn’t that what real heroes do?